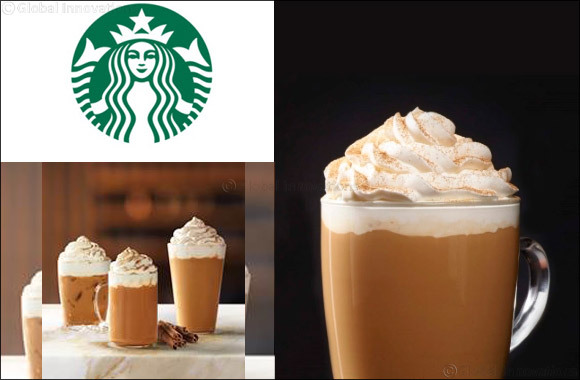 Dubai, UAE, October 01, 2018: Starbucks brings back its seasonal favorite Pumpkin Spice Latte and Frappuccino to its stores across Middle East and North Africa (MENA). Capturing the attention of coffee enthusiasts, the Pumpkin Spice Latte is an exquisite blend of the most recognizable autumn scents and flavors. Featuring cinnamon, nutmeg, clove, and pumpkin pie spices, all expertly combined into one delicious espresso drink topped with sweetened whipped cream, this hand-crafted drink turns the autumn days into warm and cozy life moments.